Subscription Box Sunday– Bride Box! Don’t get excited, I’m not getting married. But my best friend is and I’ll be the maid of honor!! So in the course of my duties I obtained a Bride Box for Pam, and in exchange she sent me all these lovely pictures and her thoughts so that I could share them with you! These are the pictures of the box. Pam said: “Got my BrideBox!!! So fun… There was some really cool stuff in there – and everything that there was a sample of also came with a discount, which was awesome!” As a subscription addict myself, I always appreciate additional discounts. “On top of the box were two neat little cards from theoverwhelmedbride.com with advice for brides on choosing their maids as well as a bridesmaids “do’s and don’ts” list. Cute! I will definately be checking out the website to get tips on how to pull of a “stress-free” wedding – because THAT’S possible. haha! Under those cards was the lovely tissue paper packing, complete with adorable sticker.” As a bridesmaid I will definitely be keeping an eye on this bridesmaid list as well! “Then a little bag with his and hers blue-gem “I Do” and “Me Too” shoe stickers. (I’m thinking this might be even CUTER on some wine glasses – just sayin’.) ” I think these would be cute on shoes OR wine glasses. I’m only curious about their longevity in shoe-wearing or dish-washing. “Next was an ADORABLE iron-on transfer sample that says (of course) “bride”. I will SO be putting that on a tank top. Next was a little postcard with pictures of some very pretty personalized robes and things, which also provided a discount for personalized gifts. ” I cant wait to see my bff in her Bride tank top! Unfortunately I also made a typo submitting their information and the year was incorrect on the print 😦 We discovered that later. Subscriptions are $35 for a month or $300 for a full year. You have the ability to enter all information regarding your wedding–names, anniversaries, monogram, date, wedding colors, # of maids and groomsmen, and even shirt sizes! You can also gift a subscription and have it sent to your favorite bride-to-be. Subscription boxes are an increasingly popular gift–I just gifted my sister with a subscription to a different box for a graduation gift. Any other brides to be? Thoughts? Welcome back readers! This sunday I have one of my favorite subscription companies, Wantable. I have found that, while on the pricier side of subscriptions, the personalization is the highest quality and I always get a lot of use out of everything I receive. Here is June’s Accessory box. Above are all four pieces I received in my box. Already I like the variety. There are earrings, a necklace, a cuff, and a ring. Let’s take a closer look! I have been really into larger rings lately and was not disappointed by this one. I will say however that I wore it for several days in a row and my finger turned green. If you are sensitive to metals I suggest one of my default fix-its and coat the inside with clear nail polish as a barrier to prevent discoloration! Here’ a look at the cuff. I like it because it is lightweight and doesn’t clank around when I type at work. Last but not least, the earrings. These are different from anything else in my jewelry collection and I can’t wait to pair it up with outfits! 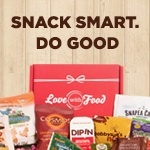 If you would like to try a box for yourself, you can head over to wantable.com or click here to use my personal referral link. What’s nice is you can buy a single box without signing up for a subscription, if you aren’t sure you want to commit to the cost. A single box is $40. When you subscribe the cost reduces to $36, and referring friends earns you credits. So, what do you all think? Any readers sub to Wantable? Also side note–can anyone tell me what is wrong with my camera? You can see in the bracelet picture it looks as if I took the picture through a screen or its distorted somehow. Thanks everyone!